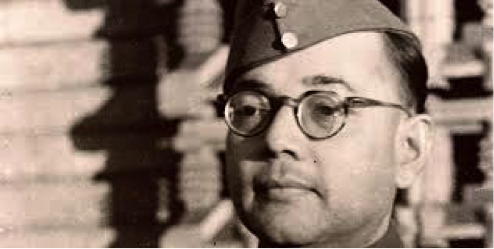 Netaji Subhash Chandra Bose-Forgotten Hero Or Ignored Martyr? History has a strange curse planned for those who come to read it. If you examine it in terms of its relevance and authenticity, there are chances you come across certain dead ends. They narrow our interest in believing facts and at the same time, open up vast unanswered area pertaining to the nature of events that shape up that thing called History. A long, endlessly debated, read and critiqued subject is that of India’s independence and the brave luminous lives that took it upon themselves- the cause of India’s uprising. We are no stranger to the grandeur associated with the name of the Father of the nation Mohandas Karamchand Gandhi. Nor are we shy of expressing our irreducible love for Jawahar Lal Nehru. We deeply regard the brilliance associated with Sardar Vallabhbhai Patel. Over the years, there was been great interest in reexamining the lives of Azad, Bhagat Singh and the likes of Rashbehari Bose. But, one pure, unhinging look or daze at the name of another gentleman associated with our freedom struggle Subhas Chandra Bose, leaves us bewildered and in awe at the same time. Wouldn’t you agree? Here was a man, who in his absolute authority was pious to the chore of being a phonetic for his devotion to bring India its long awaited independence. He was a legend whose stories will remain alive for time immemorial concerning the mass mobilization, courage, daredevilry and passion with which he dedicated his 48 years of life towards India’s independence struggle . If you are a non Indian, a foreign national, then the legendary Bose was, rather is and, shall perpetually remain a lasting symbol of rebellion concerned with fighting for India’s freedom struggle. If you are an academician, then Bose is a patriot of sound intellectual might steaming with a depth for reasoning, a person who both argued and awed Indians for his condemnation of the colonial forces that came to threaten motherland called India and from whose clutches he wanted to rescue his motherland, come what may. But, if you are an Indian, who gets teary eyed at the mere sound of a freedom song and one who has been a mock witness to the times where the tag of greatness is reserved alone for Gandhi Ji and Pandit Nehru, often weighing down revolutionary means and the need for those in front of values like peace and harmony, then Bose is your redemption, rather vindication of an argument being loosely based around running down radical or revolutionary measures of finding justice. Bose is that ticket to win a losing discussion in those ballrooms and gateways where freedom struggle comes forever to be associated with non violent values, an aspect pious and pure, but one whose prominence discounts the importance associated with sweat, blood and ultimately, sacrifice. The man India hails as Netaji, was in the real sense of the word a patriot as rare as any and a martyr who since his fictional and Wikipedia confirming death on 18th January 1945, has been alive and living well, amidst our hearts and minds for his relentless fight for India’s freedom struggle. Born in Cuttack on January 23, 1897 and alive for his passion and exceptional devotion to fetch India its dearly awaited glory, a facet we all identify as freedom, Subhas Babu is the avante garde intellectual who furthered his might through a revolutionary surge to garner means to rescue India from the clutches of the evil British forces. Subhas Chandra Bose was a bright student who grew up in an era of heat and intense upheaval following the captivity of the country by the British who were unforgiving in their surge to conquer and rule the country for a good new civilization. Together with the icon of peace: Mahatma Gandhi and the ideological thinker: Jawahar Lal Nehru, Subhas Bose rose on to become the most prominent face associated with India’s largest and most indomitable think tank that worked tirelessly in its fight against the British: Indian National Congress. Twice elected as the President of the INC, Netaji would go onto become a solo hero for his advocacy, reliance and support of radical and revolutionary means as the tool to win India independence. While Gandhi would soon distance himself away from India’s prodigious son in the freedom struggle, Nehru soon took the same road as that of the mahatma. Not the one to bow down for lack of support from fellow workers and leaders alike for his radical ideas, Netaji was to soon carve a road of his own: whose ultimate journey was to become one with the voice of the high tide: the fight for India’s freedom struggle. 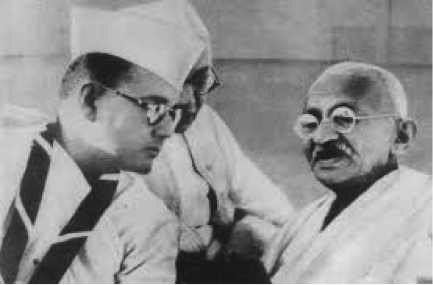 Subhas Chandra Bose in 1941 organized a mass civil disobedience against that of Viceroy Lord Linlithgow’s independent declaration of war from India’s stable against the British, an immediate, rather perfunctory seeming action the Viceroy took without the consent of the congress leaders. While Bose disagreed to the idea for its apparent immaturity, Gandhi took strong aversion to Bose’s resistance. While the Mahatma never personally condemned Bose for organizing the “Black hole of Kolkata”, the British soon jailed Netaji for a week. Soon after a spate of unrelenting hunger strike, Netaji was released, only to be pried heavily by the CID at his home in Kolkata. By the beginning of 1942, much before we eventually won our independence, there was a widening in the gap of the ideological differences between Gandhi’s peaceful means to fight the British and Bose’s revolutionary approach at tackling the demonic and unrelenting enemy. 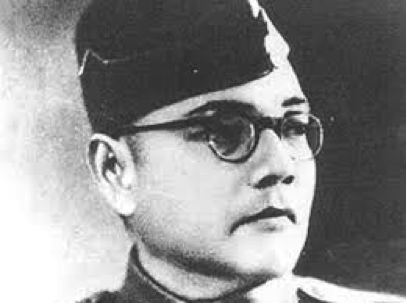 While Netaji never actually received real support or encouragement from any contemporary fighting alongside in India’s struggle, his impassioned voice of resistance against the British won his legions of fans and die hard supporters, who ventured on the trajectory of Bose’s path of retribution whose ultimate aim was to rescue India from its torrid captors. It was exactly on the midnight of January 19, 1941 that a Pathan sporting a full grown beard was seen silently walking in the streets of present day Kolkata toward a path unknown. That was Bose in an attire he had guised to evade his own capture at the hands of the merciless British. He would be driven away from the city by his nephew Sisir Bose in a vintage car that can be found decked up for public view to this day in the Netaji conservatory at his hometown in Calcutta. It is quite staggering to note that in his fascist approach to help India get useful and priceless support from foreign hands like the Soviet Russia, Japan and Germany, all of who were exactly the epitome of evil as seen by the eyes of the world and the Mahatma for their Axis powered dominance in south East Asia and elsewhere, Netaji made friends fearlessly with the evil powers n his bid to mobilize support for India’s cause. He walked most part of the Afghan border on foot, as he made his way towards Soviet Russia. 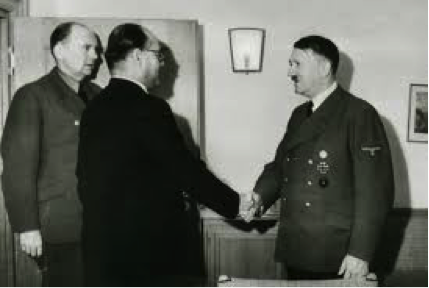 Once in Germany, he met with the Fuhrer, the ultimate symbol of evil who offered unexpected and rather ambivalent support towards India’s independence cause. One wonders whether the Nazi party chief’s Aryan lineage and inkling had anything to do with this. 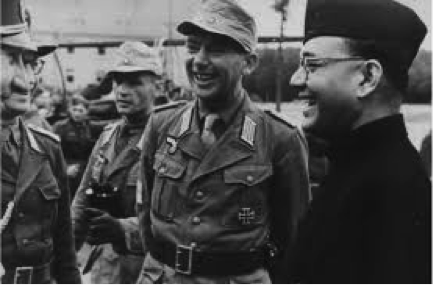 Subhas Bose who went on to live in Austria and Germany from 1941-43 where he took control of the Azad Hind Fauj, would eventually escape Germany under the tutelage of Hitler himself when he was moved from Germany to Madagascar in a German U-boat and upon reaching Madagascar, came to be helped by Japan. Widely regarded in Axis countries where he sought refuge, Netaji effectively enticed these countries in their anti- British agenda igniting them with his valor, intellectual tapestry and patriotic exuberance. Netaji found more support from Singapore where he would often sail and mobilize and meet with new inductions into the Indian National Army. It is said that on 18th August 1945, just days India’s independence, he succumbed to fatal injuries sustained in a horrific air crash, just as his plane was about to reach its destination in Russia, flying from Japan as it crashed midway in the skies of Tokyo. Highly controversial claims pointing to his death in the air crash have been challenged by the Mukherjee Commission. The truth associated with his surprising disappearance point in a direction of political conspiracy. 31 files related to his disappearance have been declassified by India government for reasons best known to them. A martyr in the strands of history and a hero whose legend refuses to diminish under the debris of time, we see growing vocal fights between fans who love him to death and critics who support the ascendancy of peace over revolution. Netaji is part cult, part legend and pure ecstatic genius for his bravery, wisdom and impenetrable efforts that enabled India win its freedom. Shrouded in secrecy for his sudden vanishing, a thing is certain: The legend of the great patriot will not suffice the growing appetite of intellectuals who label his struggle as the better and appropriate means of fighting British vis-a-vis Gandhi’s methods of peace.